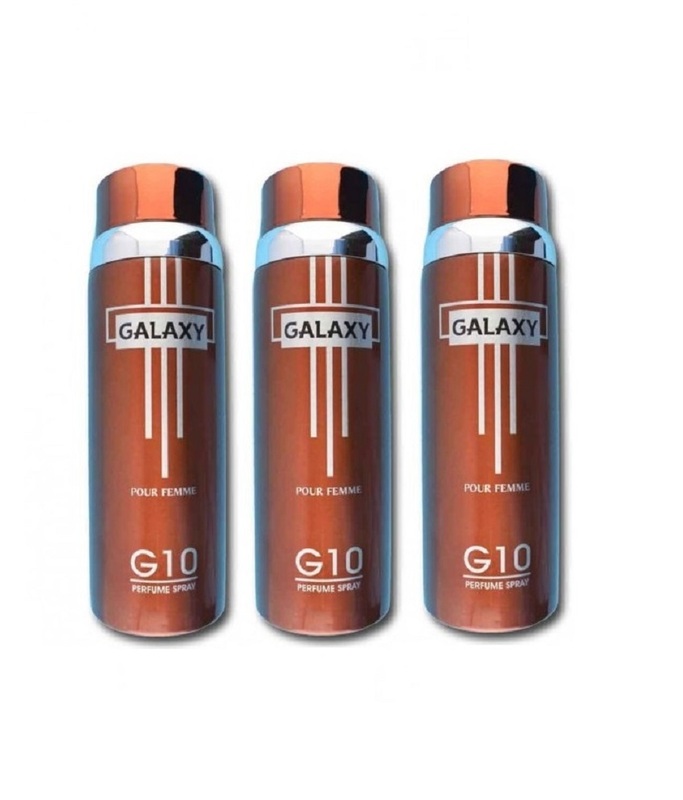 Galaxy G 10 body spray is specially made to those women who love to explore the world fantasy. Also who like to take a voyage to far beyond. It makes you feeling from low spirits to high spirits. And when the bottles open and smell the fragrance, you will enjoy that feeling being confident, charming and elegant. It helps remove the unpleasant smell quickly and leaves the fragrance on the body for a long time and restrains the growth of bacteria. So give Galaxy G 10 a try and read the specifications below that will surely let you go for it. Decus.pk offers you Pack Of 3 - Galaxy Plus G 10 Pour Femme Body Spray 200 ml at discounted price along with decent discount. So go and grab now.